To judge by their love for the fruit, the satisfaction from their work, their dedication to their profession, and their smiley faces, avocado growers are happy people. This is how you feel, probably, when you hold large areas of the fruit that has earned the nickname "The Green Gold". According to the export figures of the Israeli Fruit Council, avocado permanently occupies the second place after citrus fruit. For the Israeli consumers, avocado is already a regular part of their diet. However, the challenging conditions faced by Israeli agriculture compel even the avocado growers to become more efficient, to improve the yield, and to meet the increasing demand for the fruit. A decade ago now, Haifa Group, a company known for its efforts to provide farmers with plant nutrition solutions appropriate for their needs, brought to Israeli avocado growers the good news of nutrition by Multicote™ – the Group's advanced CRF (Controlled Release Fertilizer). Haifa Group developed a series of formulas specifically customized to the needs of the avocado crop, and its growing conditions. We travelled to Western Galilee, one of the leading avocado-growing regions in Israel, to meet the farmers on site and to hear about their Multicote™ experience, especially in the young groves. 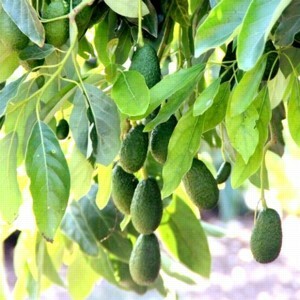 The first avocado groves were planted in Western Galilee in the sixties and nowadays the region supplies about 30% of the entire avocado crop in the country, most of which is marketed for export to Western Europe. At Shavei Zion, small village located by the Mediterranean, the hidden potential of the avocado was recognized several years ago. It turned from being an exotic fruit into a consumable product; the grove was expanded from 20 to 70 hectares (50 to 170 acres) by converting areas of field crops into avocado groves. The process was led by Nimrod Wolf, the avocado operation manager, who moved to Shavei Zion and has supervised the groves for the last six years. The varieties grown here are mainly Hass, some Ettinger, and a small area of end-of-season varieties. a The young spirit, together with the efficiency constraints, probably generated curiosity and openness to new technologies, and this is where Haifa's Multicote™ came into the picture. "We like to be on the cutting edge of knowhow and agriculture technology. We are also interested in carrying out experiments. Even when we have good yield, we aspire to achieve even better. Research always involves risks, so the first time, in 2013, we started with just a small 1‑hectare (2.5-acre) sub-plot, under careful control. During 2014, encouraged by the results, we used Multicote™ when planting 15 hectares (37 acres). We chose a formula with release longevity of 8 months. This year we planted an additional 10 hectares (25 acres), employing a better-suited, 12-month-release formula," says Nimrod. What, in your opinion, are the advantages of the Multicote™ CRF? "Multicote™ supports the fantasy that we growers indulge in, that we can stop bothering with fertilization equipment such as pumps and tanks, operating them and handling technical failures. I now enjoy this fertilization product that I can rely on. Moreover, in recent years we have realized that we need to fertilize during the winter too, as the roots are still active in the relatively warm Israeli winters. Activated by rain, Multicote™ ensures that nutrients are available to the tree, at adequate rates. The stable nutrition that Multicote™ provides is ideal for a climate characterized by short periods of heavy rain, with long dry breaks in between, during which we sometimes have to irrigate". Nimrod also mentioned his appreciation to Yishai Waxman, the Haifa Group agronomist, who has assisted and supported the introduction of Multicote™ to the Shavei Zion groves: "The avocado operation is now undergoing a change-of-shift process. A new generation has emerged, which does not take anything for granted, and which is looking for innovative practices. Yishai was the right man at the right time to support us. He checks, investigates, and shows interest, and is very dedicated to the job. For example, recently we asked for a specific fertilization formula that will be more suitable for our needs, and Yishai responded to the challenge". While looking at the young grove Nimrod concluded: "The bottom line is that we see the results. The seedlings look stronger and more vigorous with lush-colored leaves, they develop better and faster, and the tree bears fruit sooner." "It's like Spoon-feeding a baby"
Another representative of the younger generation of avocado growers is Tomer Levi, the coordinator of the groves of Kibbutz Ga'aton. 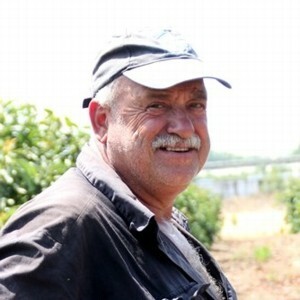 "I started working in avocado cultivation about 14 years ago, and have been involved ever since. I have performed all the jobs in the grove – laborer, irrigation worker, supervisor. Now, as the general coordinator I like my work very much, may I even say – I am addicted to it. It's interesting and challenging. I feel free to implement new ideas, and later witness the results". In Ga'aton too, the success of the operation led to a significant expansion of the groves, which currently cover 110 hectares (270 acres), with plans for further expansion to 140 hectares (350 acres). "I believe that this is the optimal size for an avocado grove. We weren't particularly efficient when we had just a 50 hectare (125-150-acre) grove", says Tomer. Tell us about your experience with Haifa's Multicote™ CRF. We have been working with Multicote™ for 10 years now, and it has proven itself. It's like spoon-feeding a baby. A week or two after planting we apply the fertilizer in the soil, 40-50 cm (16-20 inches) from the trunk; we place the dripper above it; and the water drips onto the fertilizer and dissolves it. By the capillarity the fertilizer flows in a uniform manner to the entire wetted zone. The root finds an area where it can become established easily and absorb the minerals. We don't have to do anything else. We work with an eight-month formula and this is sufficient for the whole irrigation season, from spring to autumn. With liquid fertilizer it could be difficult to feed the young plants. The sapling’ root system is not developed enough, and the plant has difficulty finding the fertilizer. Moreover, after fertigating, I continue irrigating and the fertilizers are being washed away. It's a too cumbersome method." "The notable results are the healthy green color of the trees, with shiny leaves; there is new growth at the tips, and the trees appear to be in excellent condition. The plot that you see here is three years old; it covers 6.5 hectares (16 acres); it was fertilized only with Multicote™, and we have already pruned the trees twice. You can really see that the trees are very uniform in color and in the size of their leaves. It's amazing! I can tell you with certainty that in the young plots where Multicote™ fertilizer has been used, the avocado trees have grown faster, and the canopy has developed better as compared to other plots". 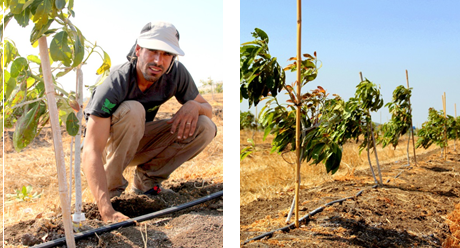 But not only the young growers in the Western Galilee are only ones to adopt Multicote™. Abraham (“Avrum”) Schwarz (60) has been a farmer since childhood. His father settled in Betzet, a small village, in the early fifties, and established a farm with a cowshed and vegetable plots. Today, surrounded by his collection of old farming equipment at his picturesque garden, Avrum shares his memories: "I began helping my father on the farm when I was in high school. When I was 21 added avocado and banana groves. My oldest avocado grove is now 42 years old". Today, he has 1.7 hectares (4 acres) planted with Hass and Ettinger varieties, of which 0.6 hectares (1.5 acres) bordering his garden are new plants from 2013, fertilized with Multicote™. Why did you decide to try Multicote™? "I like to try out new things. I was among the first farmers to introduce a computerized system, which I did back in 1978. So when the idea of using Multicote™ was raised, I discussed it with Yishai, the Haifa Group agronomist. He explained me the mechanism of nutrients release, and the application practice to me; I did not hesitate, and today I can see the results in the grove." While we walk between the trees, the smile does not leave Avrum’s face. He knows every tree and every hollow in the area, and enjoys seeing the results of his devoted work. "I am very meticulous and work in a precise manner; the conditions are such that we must work correctly, I guess that this is part of our success," he states, and adds that the a single application of Multicote™ per season saves him a lot of work, and has also reduced the cost of fertilization as compared to other methods. "Absolutely. You cannot miss the results in the grove. I have seen plots that were planted at the same time and they do not look as good. Everyone who has seen the area has said it looks good. You don't have to be an expert to see that the grove is vital and thriving. Also, from the aspect of yield: the grove is already bearing fruit. I already picked some avocado last year, when the grove was two years old, and this year the trees are exceptionally laden with fruit."